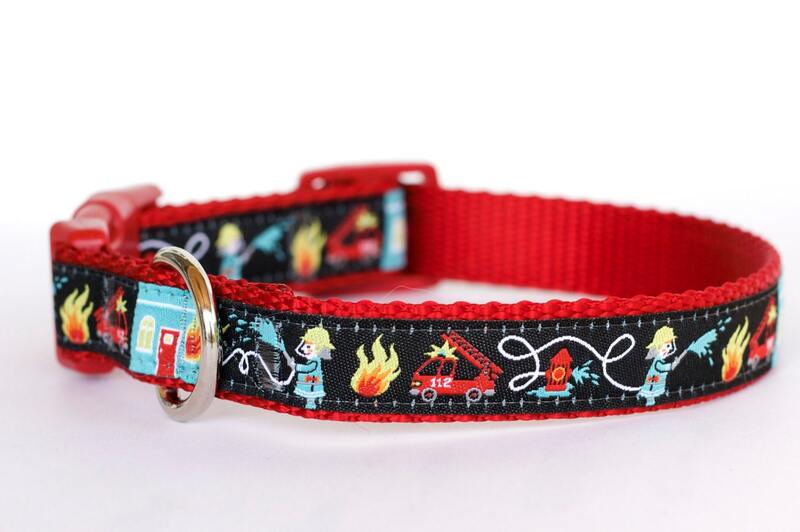 Brave Fireman Dog Collar. 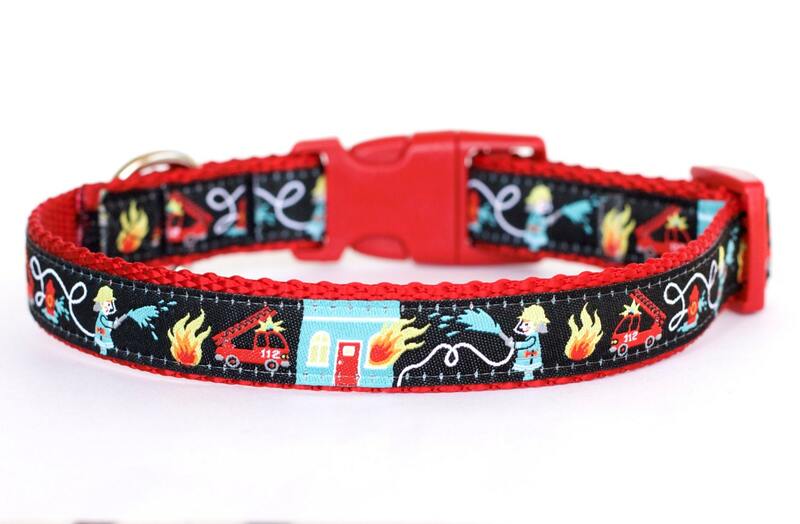 Cool Dog Collar with fireman working on a fire. 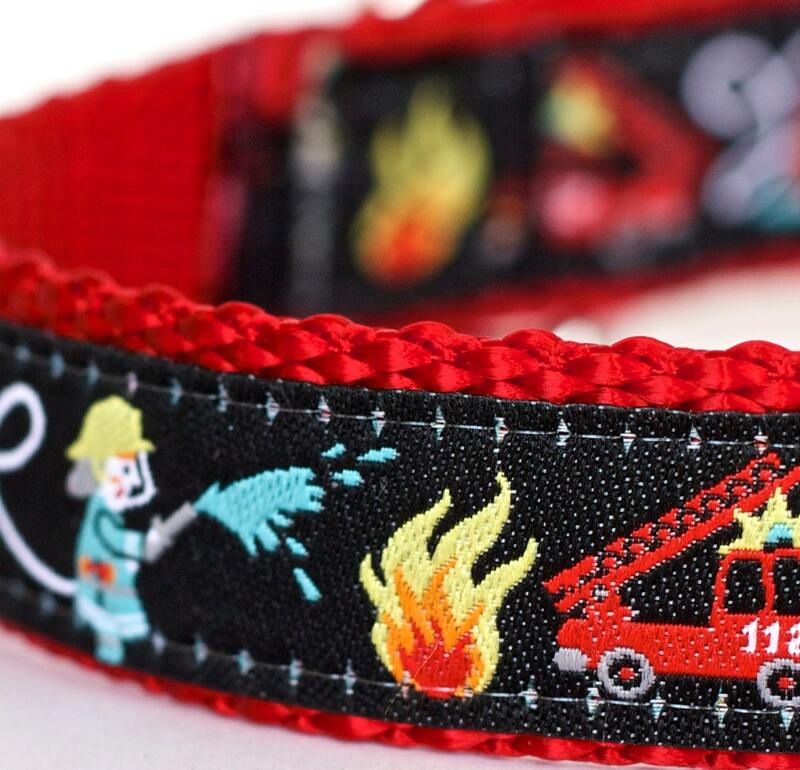 It has a black background and is placed on red heavyweight webbing. *Colors may vary per your computer monitor or brightness settings. *Collar pictured is a 3/4 inch small. Extra Small = 8 to 11 inches -5/8"
Small = 11 to 14 inches - 3/4"
Medium = 13 to 18 inches - 3/4"
If you purchase a 1 inch width collar they will be made as in this listing with ribbon layered underneath the ribbon as in 5th picture above. This item will be lovingly handmade when you place your order. I know you want your pup's collar quickly but please allow up to 5 to 9 days days before shipping. In many cases I can ship quickly. International orders please read my policies for shipping.